Contact us to know more about New Mobility. What are the infrastructure and policy changes that governments should consider in response to these new technologies? WSP works closely with key players across the world to better understand the potential impact of new mobility on local environments. We consulted with state and local transportation agencies to determine where they are today and where they want these advancing transportation technologies to enable them to deliver their services in the future. We carried out extensive interviews with international industry experts and combined these insights with learnings drawn from dozens of our projects. WSP’s team is involved in testing and implementing a multitude of new technologies; working with several of the new business models already in operation. Launched in October 2017, our ground-breaking whitepaper New Mobility Now: a Practical Guide brings new insights to mobility issues. “The opportunity offered by New Mobility is significant and highly valuable, particularly to city and area leaders, place-makers, transport network owners, mobility and technology providers,” says David McAlister, WSP Global Director, Transport and Infrastructure. The introduction of connected and autonomous vehicle technologies and technology-driven mobility services, such as private companies providing new mobility services such as ride-hailing and car-sharing services, presents great opportunities and challenges for everyone. “We need to make sure the framework will take the new realities into account to ensure that our roads are safer and more efficient,” says Scott Benjamin, Technical Director, Intelligent Transport at WSP in Australia. Connected vehicles sending and receiving signals from other vehicles, street lights, road sensors, and other devices will create a safer and better driving experience. When cars can drop off passengers and then make themselves available for other passengers, land currently occupied by parking lots can be repurposed. In collaboration with Farrells, WSP examined the placemaking opportunities from CAV, calculating that a carefully planned deployment of shared CAV could increase the developable area in central urban developments by up to 20%. “What can we do with that new space?” asks Rachel Skinner (Development Director for WSP in London) in a thought-provoking whitepaper entitled ‘Making Better Places’. A global focus on cleaner cities through electric vehicles will also influence both travel and energy demand when considering the associated charging infrastructure and pricing mechanisms. Connected and autonomous vehicles and new mobility services are becoming increasingly available and they’re challenging decades of government policy, as well as the fundamental assumptions of transportation and land-use planning. These technologies and services, and, in particular, the potential of these technologies and services, is creating great uncertainty with regards to future travel demand, travel behaviour, vehicle ownership and the safety and capacity of transportation systems. One of the key elements in providing efficient transportations systems, will be that are space efficient. After prioritising walking and cycling in cities, this will require simultaneous sharing of vehicles thus decreasing the current sharp boundaries between private vehicles, taxis and public transit services. Robust planning strategies can no longer ignore these implications. Through internal and external research and process development, WSP is establishing methods to help agencies proactively develop policies and evaluate scenarios for various advanced technology futures. In the US, our experts are working in multiple sites and with numerous partners, such as in Maryland and Michigan, where WSP is responsible for developing and deploying the roadside infrastructure that communicates with vehicles being tested at MCity, one of the few testing campuses in the world dedicated to C/AV technology. 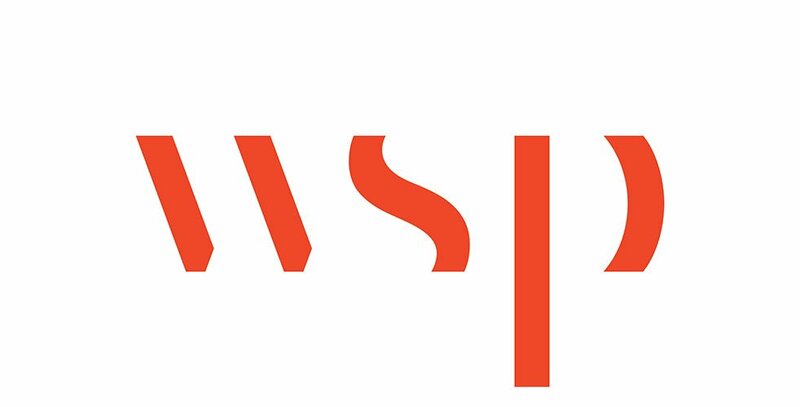 WSP published a guide that assists government officials in determining the necessary infrastructure and policy changes brought by the advent of connected and autonomous vehicles. In Australia, WSP is working with partners to understand how the introduction of connected and autonomous vehicle will affect road operators. We are also participating in route assessments for fully automated, driverless, buses. The large-scale introduction of self-driving vehicles will have major impacts on our urban centres. WSP has a long history designing pricing and regulatory frameworks from incentivizing the uptake of cleaner vehicles to congestion charging. New mobility services, mobility as a service (in a European definition), will create multimodal packages of offerings that will inherently mean new pricing models for transportation and a need for the public sector to react to that. The pricing of individual mobility services by private suppliers and the interplay between those and the societal incentives and market regulations will together determine what travel choices will be made by individual consumers and on an aggregated level how efficient the transport system will be. Simultaneously with a need for holistic pricing policies over different modes, it is important to realise that existing policies may not be effective for their intended purpose in the future. Car ownership and fuel taxes, as well as parking charges may lose their effectiveness. New technology has even in mobility pricing a role to play. Telecommunications Expertise: We provide the telecommunications expertise that supports connected and autonomous vehicle applications and services; including EV charging and payment for services. Data Management, Warehousing and Integration: We design and operate systems that manage large volumes of data from connected vehicles and translate that data into usable information for transportation management centers and/or agency-specific applications. Systems Design & integration: We specify, design and integrate the systems that enable connected, autonomous and electric vehicles and services to function – combined with the systems needed for payments and sharing. Connected, Autonomous and Ultra Low Emissions Vehicles all have the potential to disrupt current models for operating road and network operations. Their introduction to transport networks has implications on the safe operation of those networks. At WSP we have developed models to consider the operational and safety implications of CAV and ULEV on transport networks that enable road authorities to plan for their introduction – by considering the overall system rather than individual elements. The balanced framework approach allows the potential positive and negative impacts of these disruptive technologies to be assessed in an objective manner, considering, for example, how existing infrastructure may need to be adapted or replaced. In the UK we have used this approach for the first real life connected corridors and a trial of truck platooning.